My world turns on visual supports. I keep my daily schedule in front of me because it is different every day and is constantly changing. A light pops on to remind me that I need to get gas for the car. The grocery list helps me to get everything I need (the first time!) at the store. A Post it® note on the front door reminds me not to forget something important. Visual supports are tools that increase a person’s ability to understand language, clarify the expectations in a given setting, and /or to provide reassuring structure to the lives of individuals who have stronger visual skills than language or auditory skills. (Quill, 1995, 1998). Why are visual supports so important? Let me refer you to Linda Hodgdon’s 25 Reasons to Use Visual Strategies with Students with Autism. http://UseVisualStrategies.com/ or http://www.lindahodgdon.com. She writes “Whether it’s social conversation, understanding a written assignment, or being able to decipher more figurative language we all tend to use, if effective communication is our goal, we need to use more than our voices with this population. We need to use visual strategies too!”. 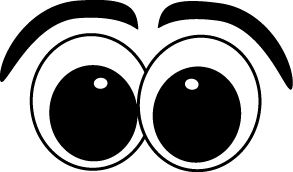 I believe that visual supports benefit everyone but are essential in assisting students with special needs. For those of us who may need extra time to process what is being said, pictures and/or the written word keep that information static while we process. Social scripts and stories help us understand what the expected behaviors are for social situations. Children need clearly established boundaries, especially when we ask them to be part of a group. 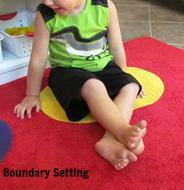 An established boundary helps to teach children to set their own physical boundaries. A carpet square or mat is an effective visual support. Children need to learn how to manage themselves when they get anxious or encounter a problem. The above visual assists children in consciously regulating their actions. The Zones of Regulation® is a cognitive behavior approach used to teach self-regulation. For more information about The Zones, visit http://zonesofregulation.com. The above visual support was created by Erica Warren at http://goodsensorylearning.com and available at http://www.boardmakerachieve.com..
Social Scripts and Social Stories visually describe steps of a specific social situation and/or provide pre-taught language for specific situations. 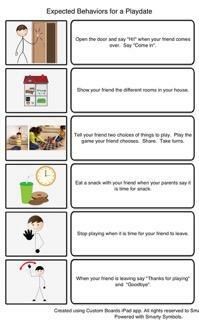 The above script can be used in preparation for navigating a play date. The Power Card Strategy is a visual aid that incorporates a person’s special interest to assist in teaching expected behaviors in class, during play, and other social interactions. The Power Card Strategy was developed by Elisa Gagnon. 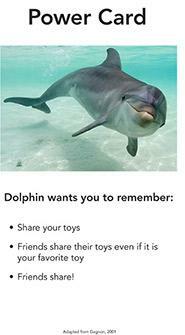 You can find the Dolphin power card as a download along with a template at http://ocali.org. We are experienced in creating and using visual supports at Autastic Avenues. 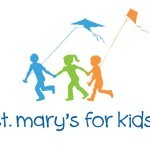 If we can help you, contact us at http://autasticavenues.com.